Fay Thompson, an alum of the Crossmen, submitted this photo and caption. After looking at this picture again, I can see musical notes above the Santa Clara Vanguard horn line members. 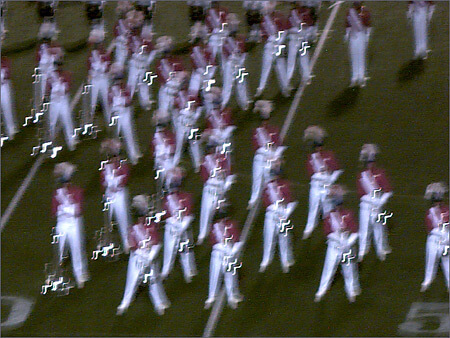 I took this photo with digital binoculars at the DCI Eastern Classic in 2005.